Rob Jones has heaped praise on Rovers youth coach Paul Stancliffe for joining him in a caretaker role leading the first team. Jones asked Under 18 coach Stancliffe to join his coaching staff after being handed the reins at Rovers on an interim basis following the sacking of Paul Dickov. And he has been delighted with the former Sheffield United centre half’s contribution to the cause so far. “Paul Stancliffe has been my guide as you like in the U21s,” Jones told the Star. “He knows how I tick, how I do things, when to pull the reigns on, push me a little bit forward. “He understands me, he probably doesn’t agree with me sometimes but that is why I brought him in. “For me, it’s a familiar face who is there is over my shoulder when I’ve been on the bench for the U21s. “It worked well at Walsall on Saturday. “He’s got vast experience, he loves the club and wants them to do well. Both Jones and Stancliffe are likely to be on hand at the Keepmoat this afternoon as Rovers’ U21 take on their Preston North End counterparts in the Premier League U21 Cup. 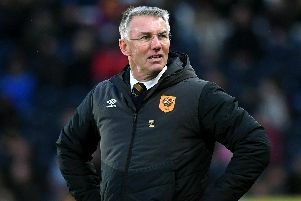 Jones confessed he would leave the decision over whether he would take charge of the U21 side as normal until the last minute. He said: “For me it was a focus on, forgetting about everything, Rob Jones as the player, the U21 manager and focusing on Rob Jones the first team manager. Kick off is at 1pm with adult entry at £3 and U16s at £1.